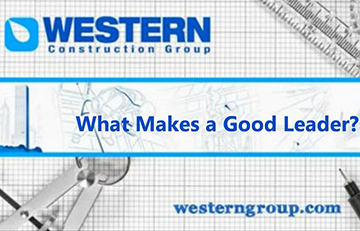 Why Work at Western Construction Group? Training at Western focuses on all position levels, from new hires to executives to make sure that we are all continually contributing to a positive and productive work atmosphere. In this week’s blog video, Senior Director of Talent Management & HR, Mary Faris, discusses the important qualities and outlook of a good leader that she focuses on in her training classes at Western.